While the original Saint John's Bible resides in Collegeville, various editions of the Saint John's Bible are available for purchase. 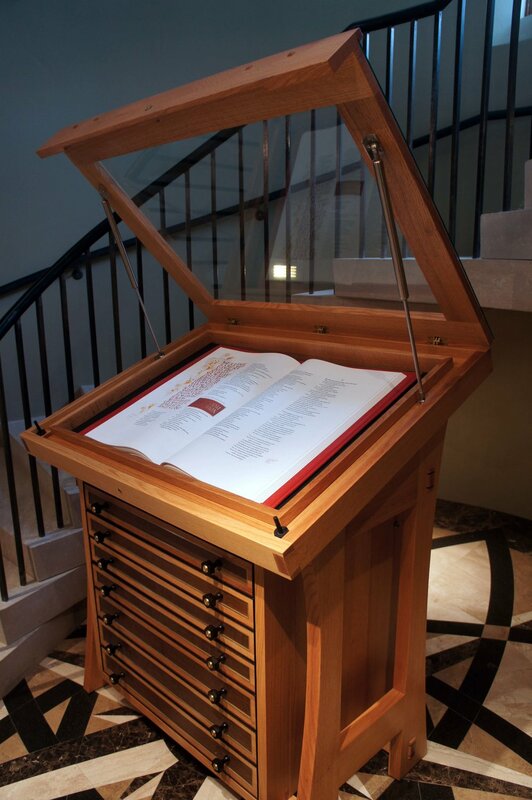 To accommodate for the viewing and storage of these sacred texts, Abbey Woodworking custom designed various displays and lectionaries for purchase. 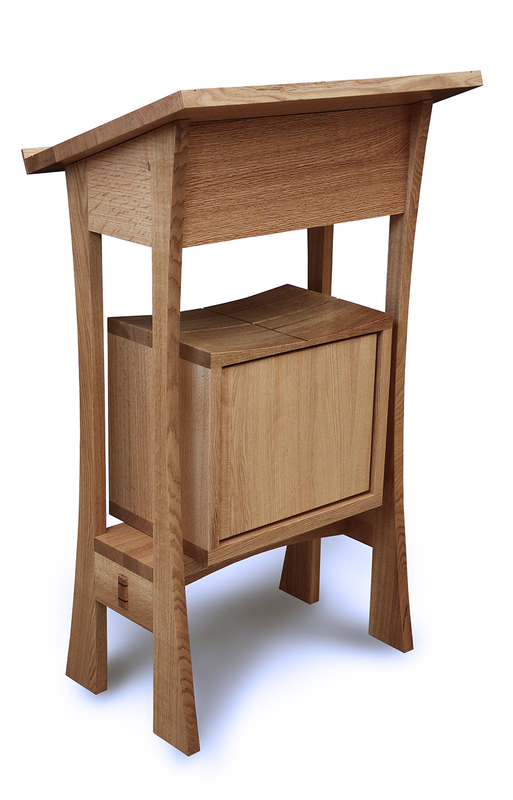 These stands put to use traditional joinery along with the beauty of quarter-sawn Red Oak to create pieces that reflect the artistry and craftsmanship that is the Saint John's Bible. 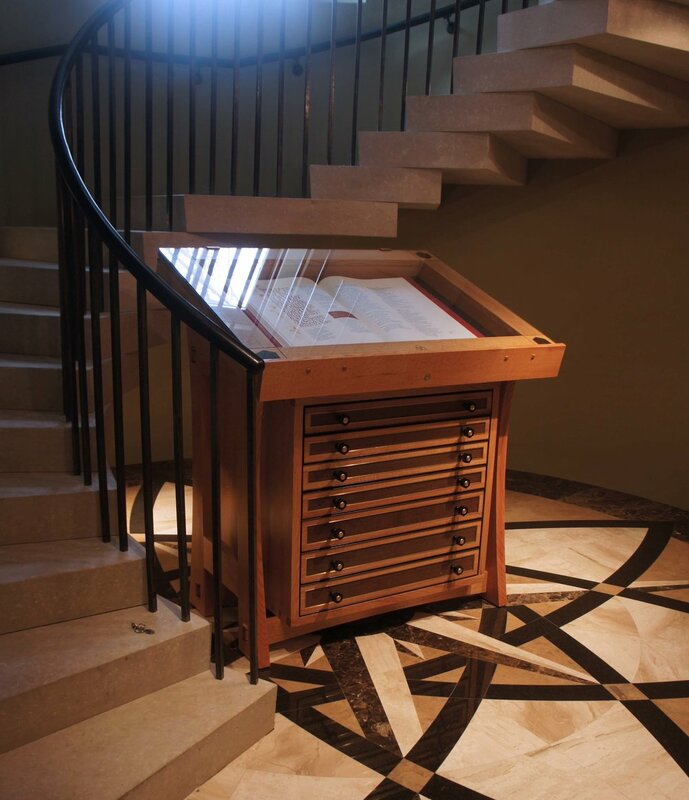 A support cradle beneath a hinged glass top makes it possible to display a single volume for the long term. 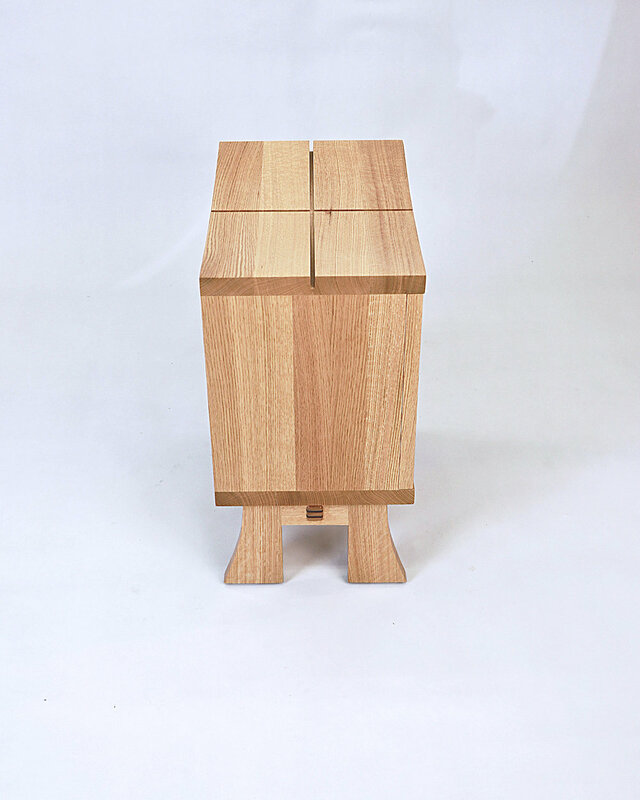 The viewing stand and cabinet can be dissembled in three pieces for ease of transport. 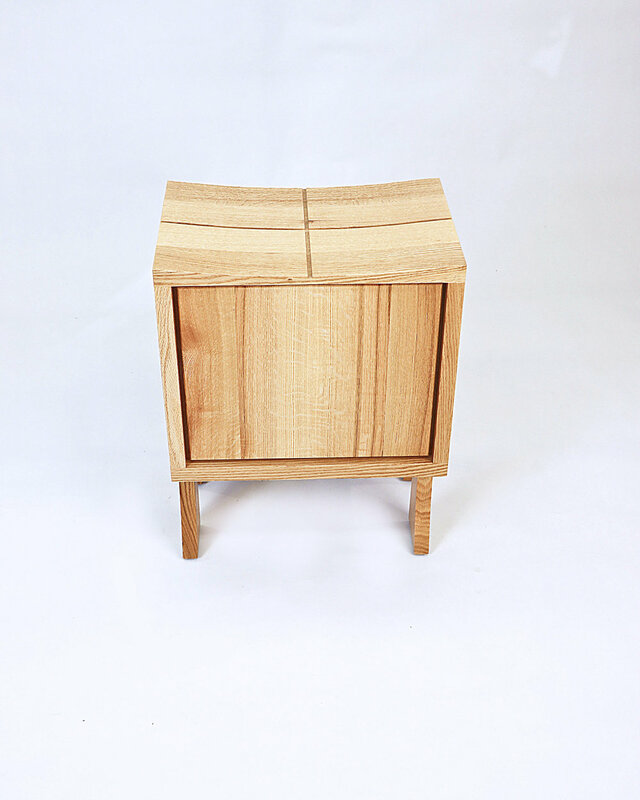 For mor information please see the catalogue, or contact us. 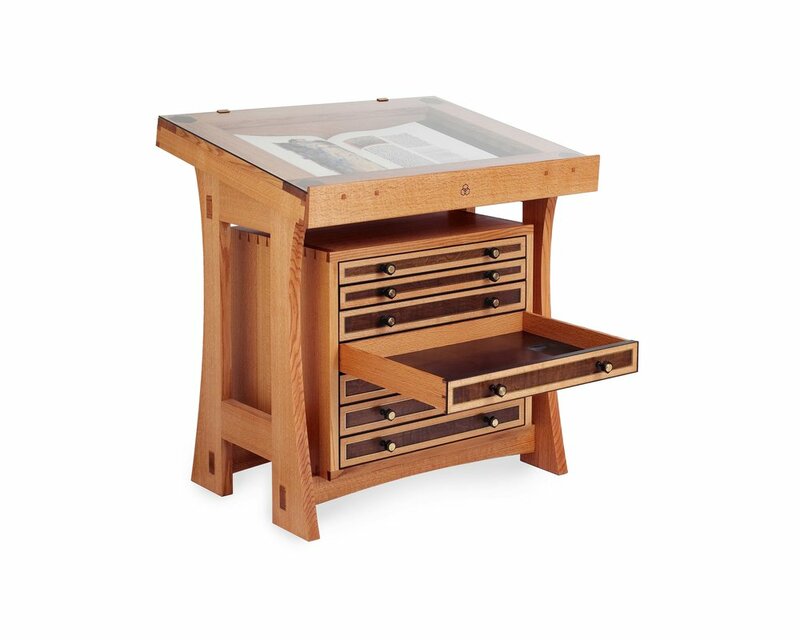 Designed for the Trade Edition of The Saint John's Bible, this stand utilizes many of design elements of the larger Heritage Edition Stand: Quarter Sawn Red Oak, Mortise and Tenon Joinery, and walnut accents. 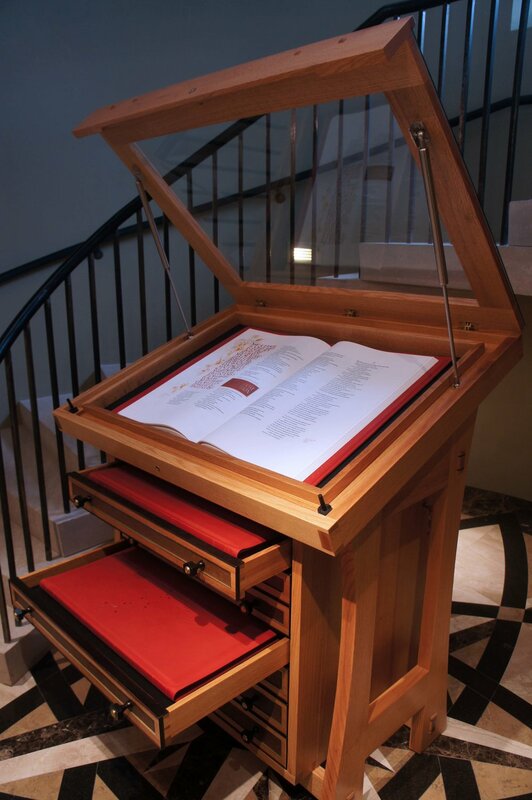 Built to protect and display your volumes of the The Saint John's Bible, it also reflects the artistry and craftsmanship that is the Saint John's Bible. 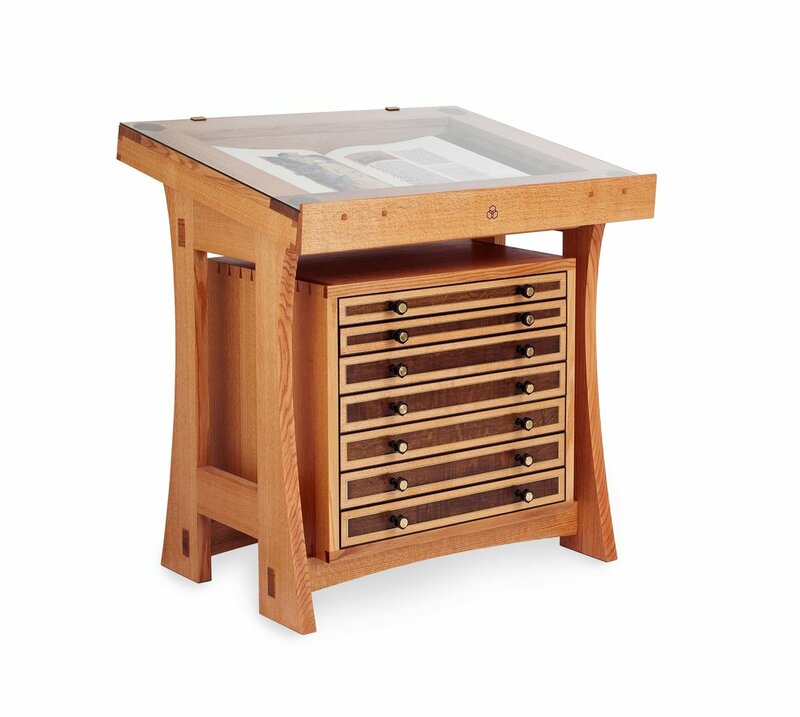 Crafted from Quarter Sawn Red Oak, the Bible Box provides a beautiful storage space and display for The Saint John's Bible. 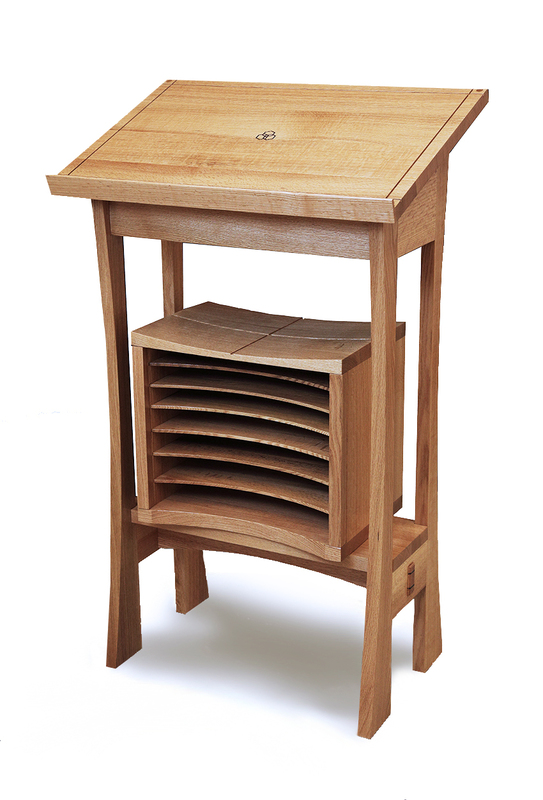 It is available with or without the stand that replicates the the joinery and curved legs of the larger reading stands.